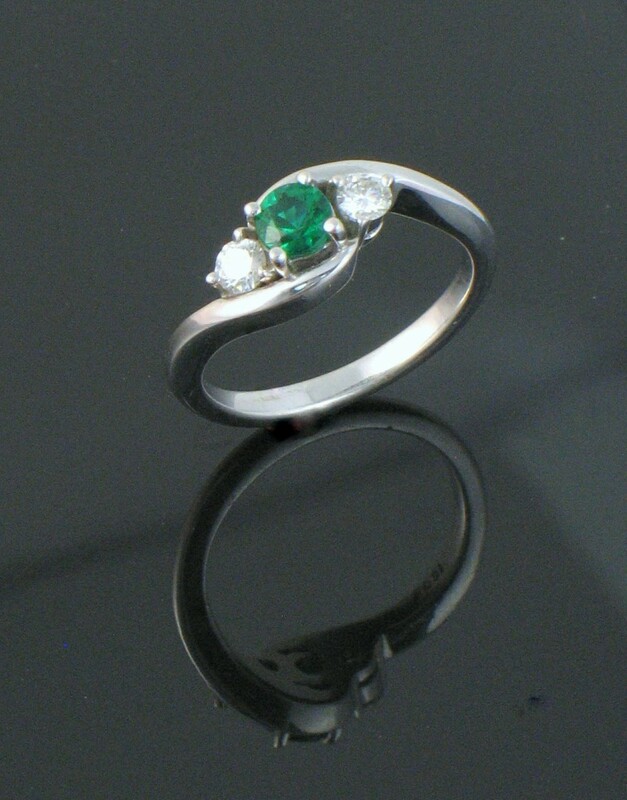 Emerald and Diamonds 18 karat white gold ring. Emeralds are the birthstone for May, hooray, and the aniversary stone for 20th and 35th anniversary. Emeralds are thought to be enchanting. The rich green symbolizes rebirth and renewal that comes with spring. Who loves Emeralds?